Majlis Speaker Ali Larijani says that the racist and aggressive spirit of the Zionist regime has always been and will be a threat to both humanity and the regional nations. 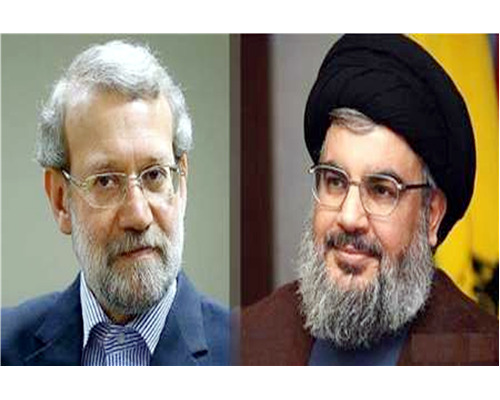 Larijani made the remarks in a message to Secretary-General of Lebanon's Hezbollah Hassan Nasrallah congratulating him on anniversary of liberation of southern Lebanon from the Zionists’ occupation on May 25, 2000. In his message, Larijani also felicitated the Liberation Day to the Lebanese people. Larijani further stressed that the Islamic Ummah can achieve its goals only through resistance and solidarity. Undoubtedly, he went on to say, integration and unity among different Lebanese groups will bring a promising future for the Lebanese people and the Islamic Resistance as well. After the Zionist regime attacked Lebanon in 1982 and occupied south of the country, Lebanon with the help of resistance movement led by Hezbollah managed to force the occupiers to withdraw and liberated southern Lebanon after 18 years.